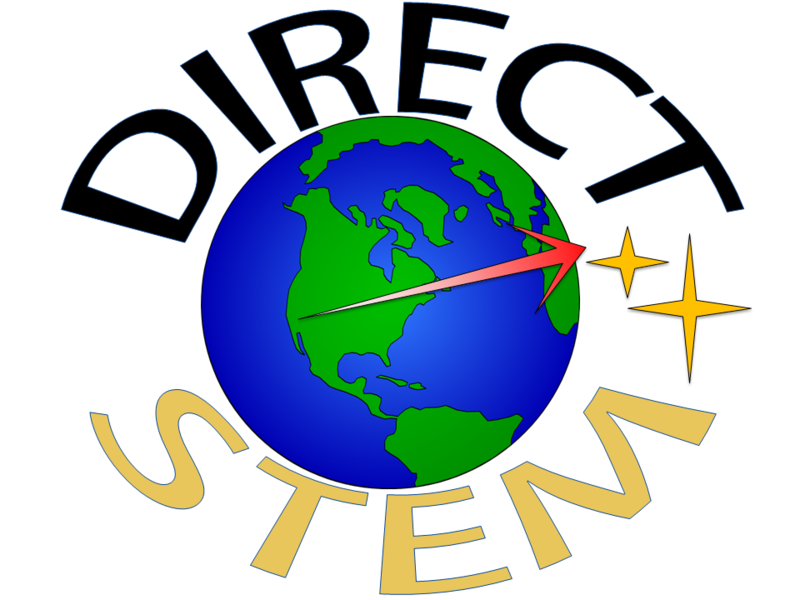 The NASA DIRECT-STEM has an overarching goal of recruiting highly competitive, historically under-represented students, giving them direct NASA research experience in scientific computing and data analysis, and inspiring them to become future leaders in STEM-related professions. 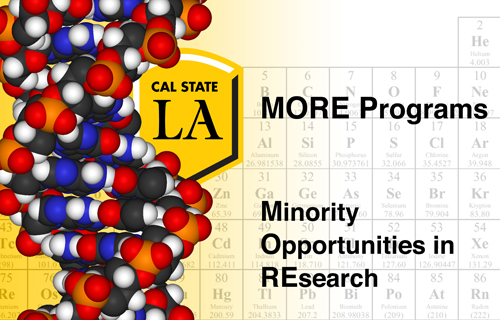 The mission of the Minority Opportunities in Research (MORE) Programs at California State University, Los Angeles is to make available to the American scientific research enterprise the creativity and intellectual talents of minority group members. To this end, the University has established several programs to enhance the development of minority students who wish to pursue research careers in basic science disciplines, mathematics and engineering.The University hosts intensive student development programs which include unequalled opportunities for research participation under the direction of the Training Faculty, among the most productive teacher-scholars in the natural and behavioral sciences at the University. These programs are funded by grants from the National Institute of General Medical Sciences (NIGMS) of the National Institutes of Health, the National Science Foundation, and the American Chemical Society. All focus on preparing students for success in graduate programs leading to the Ph.D. The NIGMS provides support for students interested in developing research careers in biomedical and behavioral research. The NSF supports the development of research careers and in non-biomedical areas of science and engineering. The Mellon Mays Undergraduate Fellowship program is the centerpiece of The Andrew W. Mellon Foundation’s initiatives to increase diversity in the faculty ranks of institutions of higher learning. Established in 1988 by William G. Bowen, then the president of the Foundation, and Mellon program associate Henry Drewry, the MMUF program began with an initial cohort of eight member institutions. Since then, the program has grown to include 48 member schools and consortia, including three South African universities and a consortium of historically black colleges and universities within the membership of the UNCF. As of 2017, over 5000 students have been selected as fellows, more than 700 of whom have earned the PhD and over 100 of whom are now tenured faculty members. The great majority of those who have completed the PhD hold or have held an appointment in the academy. Cal State LA is proud to proud to be one of five CSU campuses—including CSU Dominguez Hills, CSU Fullerton, CSU Long Beach, and CSU San Bernardino—that houses the Mellon Mays Undergraduate Fellowship program. Each year, four new MMUF fellows are selected from among applicants in the rising junior class (last semester as a sophomore.) These newly selected cohorts of fellows join the previously selected cohorts of rising and graduating senior fellows, where they are provided with mentoring and financial support as they prepare for entry into PhD programs and eventual careers as scholars and faculty members.